Here's a good example of SIMS data feature to easily create Data Subsets automatically! Easily create multiple data sets based on any of your demographic questions, such as on your Protein Bar usages. 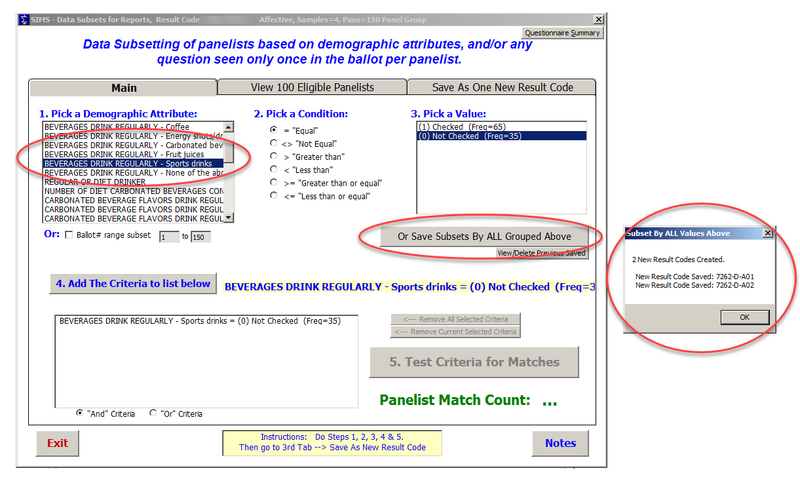 In this example shown below, SPORTS DRINKS users are filtered into 2 new result codes! A group of 65 consumers and a group of 35. You can then run any SIMS reports and stats! Super cool.